Unfinished Leather Shoulder Strap in Black, Red or Taupe. A replacement shoulder strap for your handbag. 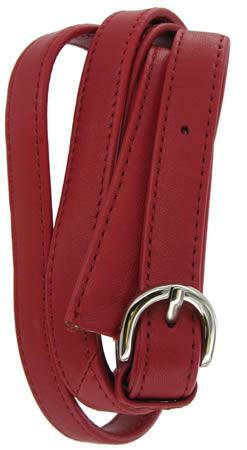 Available in high quality red or taupe leather with skivved down (thinner) ends. The strap is 50 3/4 inches (129cm) long its width is 5/8 inch (15cm). The strap needs stitching/riveting into the seam of your bag, so it does require some degree of leatherwork.